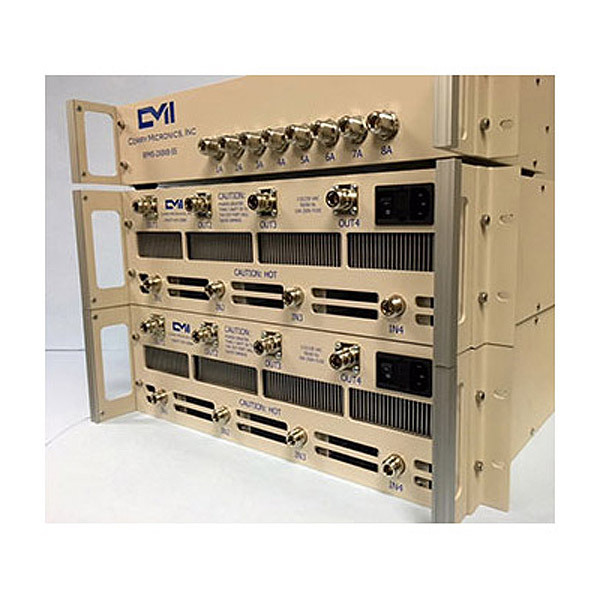 Two Great Components in One Integrated RF Assembly Solution! 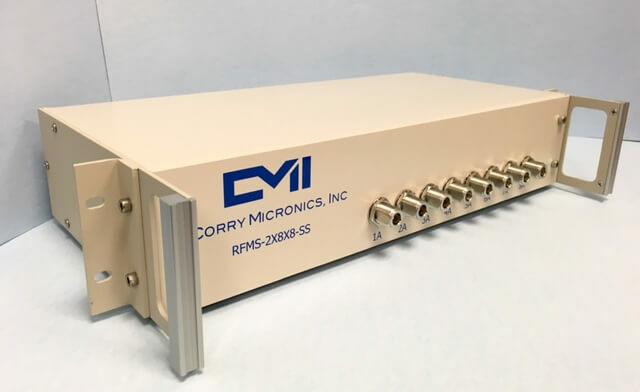 The Corry Micronics Integrated RF Assembly couples the power and speed of two dependable subsystems to provide you with one dynamic package! 8 through channels with the ability to divert any one channel through an ancillary port. Probe/test port where the signal analysis occurs. Operates from VHF through 6 GHz frequencies. The 8-channel switch is bi-directional enabling testing in both directions. 4 Channel, 100 W Attenuators. DC to 6 GHz frequency range. 50 dB attenuation with ±1.75 dB accuracy. 100 W maximum power handling per channel. Customization from one to 48 ports! 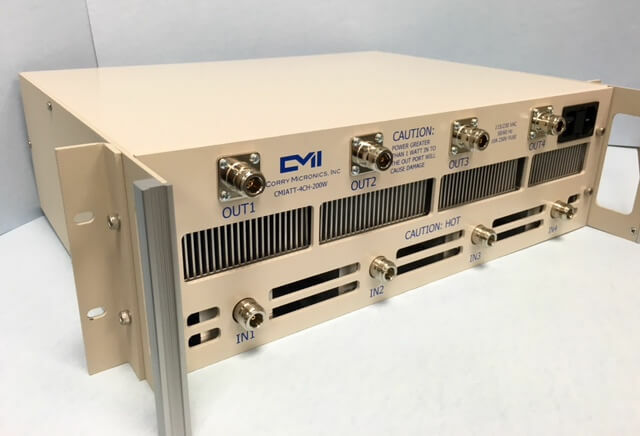 Frequency to Customer Specifications from 30 MHz to 10 GHz! Fast Switching Speeds at 2 Micro-Seconds! TTL control, High Port to Port Isolation and Solid-State Switching! To Discuss Your Current Project and How Our Engineering Team Can Help it be Faster, Stronger and Less Expensive! For more information, a quick quote or to talk to one of our engineers about your application, fill out the form above!